I think that’s a great idea! could be fun! I sometimes ‘like’ something I didn’t like or bother to finish because its too long just because they always ‘like’ me. I think many of us do that! I know I am “guilty”. 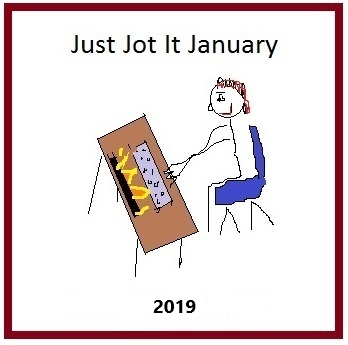 I am so impressed with your Just Jot it January posting! The blogs I comment on have gradually contracted due to time constraints, but I do enjoy reading even when I don’t comment. Thanks so much, Ellen! I am always pleasantly surprised to find out that people are reading my posts. I will probably slow down on posting after making it through Just Jot It January, but I’m hoping to keep posting more often than I have been over the last year or so.